ESET®, a global pioneer in IT security for more than two decades, today announces that its next-generation business product ESET File Security will become part of the security offering as a VM extension in Microsoft Azure. Business customers can benefit from this proven and trusted IT security solution on Microsoft’s cloud computing platform from Sunday, July 12th, 2015. ESET File Security in Microsoft Azure will be available in West Europe initially, with rollout to further Azure regions in the days thereafter. In addition to the existing IT security capabilities built into Azure, Microsoft provides a rich array of supplementary antimalware solutions to protect virtual servers, allowing users to benefit from IT security vendors they already know and trust. "ESET File Security provides superior protection for virtual file servers. Our proven ESET NOD32® scanning engine, high detection speed, smooth performance and stability make the solution ideal for virtual environments,” says Peter Vrana, Senior Product Manager at ESET. 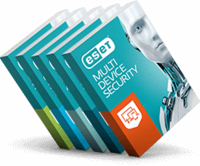 ESET File Security also delivers detailed and comprehensive security logs, vital protection status information and system notifications, while native clustering support allows IT administrators to automatically replicate settings in a cluster environment. Moreover, ESET File Security is fully manageable via web-console, using ESET Remote Administrator. Read more about Azure or learn more about ESET File Security VM extension.